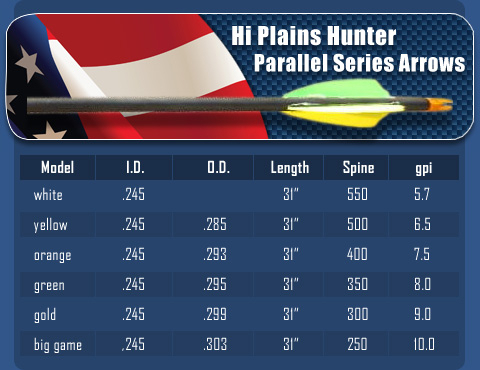 The Arrow Dynamics Parallel Series is for the hunter who requires hi- quality American made equipment. These shafts are made from a higher quality carbon (33 Million modulus) compared to all other shafts. Lets stop giving our money away to other countries for hunting equipment, all our products are 100% manufactured in the USA giving the consumer a choice where his equipment is made. Arrow Dynamics machines, tooling, carbon, components and labor is done in Topeka Kansas the heartland of America. Prices displayed are per 12 arrow SHAFTS and include components.